born in Wroclaw in 1984, Kuba graduated in directing from the Krzysztof Kieslowski Faculty of Radio and Television at the University of Silesia in Katowice in 2010 and from the Development Lab Feature Programme at the Andrzej Wajda Master School of Film Directing, now known as the Wajda School, in Warsaw in 2011. He received a scholarship from the Ministry of Culture and National Heritage on two occasions, in 2009 and 2011, and has been honoured with the title of Third Programme Talent, a distinction conferred by Polish Radio's Trojka (Third Programme). He has won the Gazeta Wyborcza (Electoral Gazette) Cultural Award and the Cultural Guarantee Award from TVP Kultura, the Polish public television broadcasting corporation's cultural channel. He also holds the Rector of the University of Silesia's Award for active students and doctoral candidates. Among other shorts, he is the director/screenwriter of Don't Be Afraid Of The Dark Room (2009) and Twist And Blood (2010), two short features, both of which have received numerous international awards. In 2014, he will begin shooting his directorial full-length feature debut, for which he also wrote the screenplay. 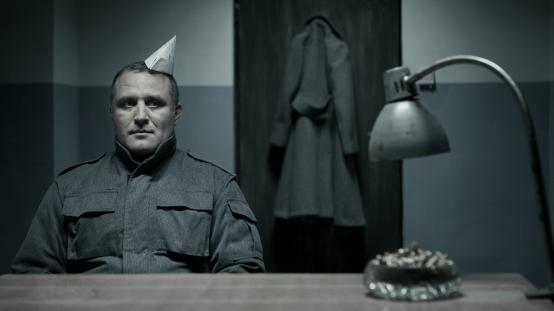 Entitled The Erlprince, the film is a Polish-German co-production.